Owens may be eligible for parole in a few years. 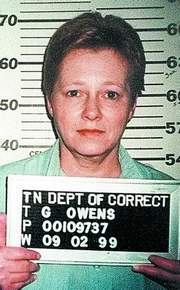 (C. Carey and C. Sisk, "Governor commutes sentence of Gaile Owens," The Tennessean, July 14, 2010). See also Arbitrariness, Clemency, and Women and the Death Penalty. Since the death penalty was reinstated, 248 inmates have had their death sentence commuted, including 171 commutations granted by Illinois Governor George Ryan in 2003.